Why do the New Testament gospels depict a Jesus who asks questions almost as often as he gives answers? 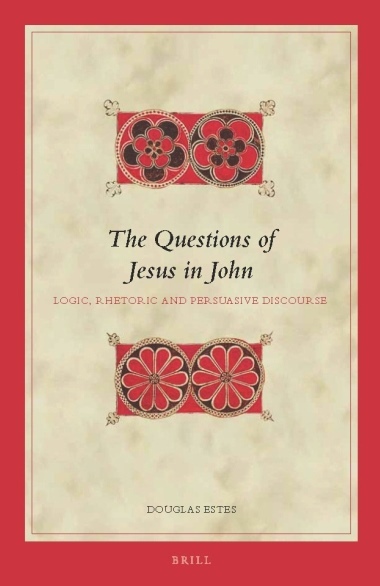 In The Questions of Jesus in John Douglas Estes crafts a highly interdisciplinary theory of question-asking based on insights from ancient rhetoric and modern erotetics (the study of interrogatives) in order to investigate the logical and rhetorical purposes of Jesus' questions in the Gospel of John. While scholarly discussion about Jesus cares more for what he says, and not what he asks, Estes argues a better understanding of the rhetorical and dialectical roles of questions in ancient narratives sheds a more accurate light on both John’s narrative art and Jesus' message in the Fourth Gospel. Anyone who engages serious research in the Fourth Gospel will want to read The Questions of Jesus in John if not add it to one’s personal library. Estes’ work sheds light upon the numerous passages he addresses and incites fresh thoughts concerning how questions provide structure for John’s Gospel. All who are willing to read through The Questions of Jesus in John will surely appreciate the genius with which the Fourth Gospel was composed. Readers’ senses will doubtless be heightened to pause for reflection upon the import questions contribute to John’s narrative. I commend this innovative study in an uncharted area of New Testament studies. Scholars have seemingly neglected the topic of questions in John’s Gospel, and Estes’s study is timely, rigorous, and challenging. The book is helpful in that it provides lucid reflections on the value of questions-in-themselves as well as the value of undestanding questions for interpreting the Johannine Jesus. Students and scholars of the Fourth Gospel are strongly encouraged to examine Estes’s work. The Questions of Jesus in John is not only a groundbreaking monograph in its own right, but it also sheds some light on possible future studies of questions in the New Testament, a topie that has been largely ignored by scholars and theologians alike.